RUSSELL S. SAYRE is a partner in the Cincinnati, Ohio office of Taft Stettinius & Hollister LLP, where he serves as co-chair of the firm's litigation practice group, concentrating his practice on litigation, arbitration and dispute resolution. Since 1990, Mr. Sayre has represented corporate, business and individual clients in federal and state courts, in arbitrations, and before state administrative boards. Mr. Sayre is admitted to practice in all Ohio courts, in the United States District Courts for the Southern and Northern Districts of Ohio and the Southern District of Indiana, and in the United States Courts of Appeals for the Third and Sixth Circuits. He is a graduate of the University of Virginia School of Law, where he was executive editor of the Virginia Tax Review and the recipient of the Roger and Madeline Traynor Prize. 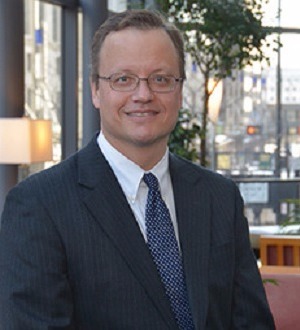 Mr. Sayre is active in the Cincinnati Bar Association and has served as a lecturer in continuing legal education programs. Before attending law school, he was an economist with the Internal Revenue Service. Since 2005, Mr. Sayre has been listed in The Best Lawyers in America, published by Woodward/White, Inc.